Hi friends! Earlier today I shared some sneak peeks of our awesome Thanksgiving collaboration and now it’s time to break things down! 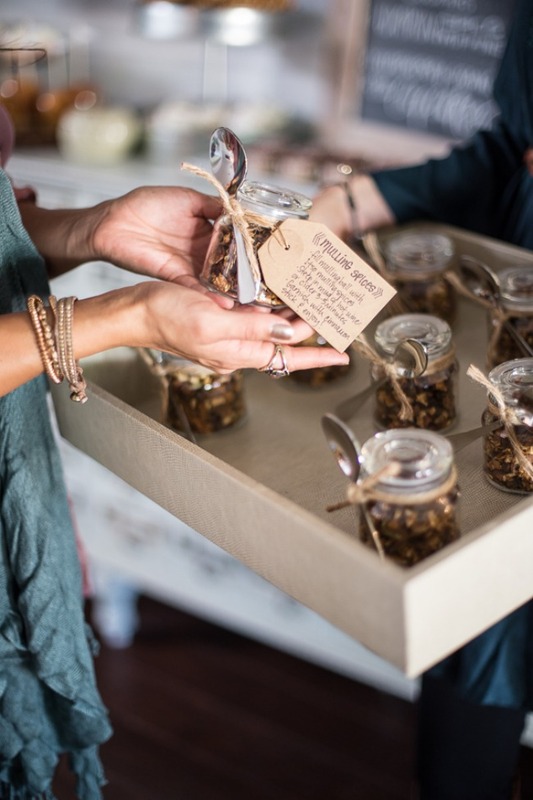 I’m a big fan of gifting, but I think gifts don’t just stop at the hostess, why not give all of your Thanksgiving guests gifts as well! 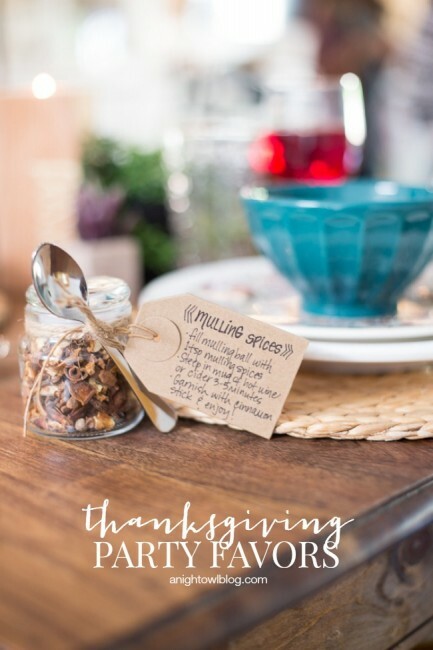 So today we’re going to share the most ADORABLE DIY Thanksgiving Party Favors that you can create in no time, won’t break the bank and will leave your guests with a sweet and practical gift. So let’s get down to it! This year we’re getting everything we need for Thanksgiving from World Market! 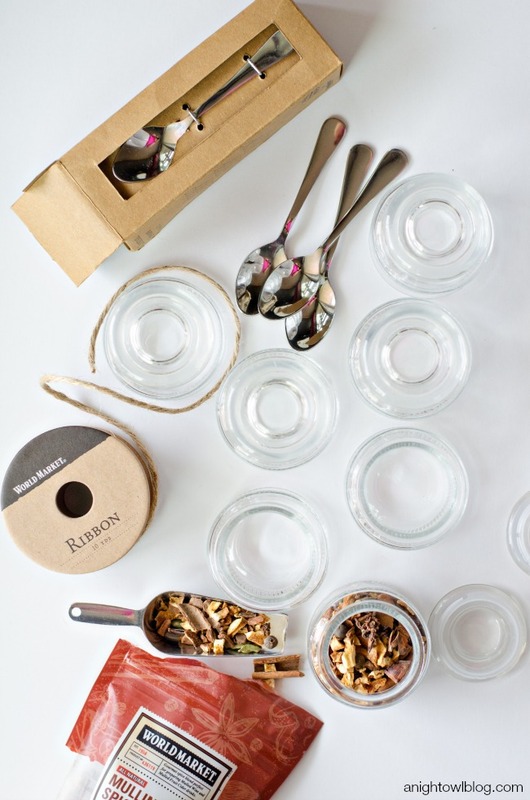 They have it all from Entertaining and Kitchen products right on down to the furniture and table settings. Everything you need. So for our favors naturally I shopped my local WM and picked up the goods I needed to make individual Mulling Spice Favors. They turned out so VERY cute…let’s break it down! 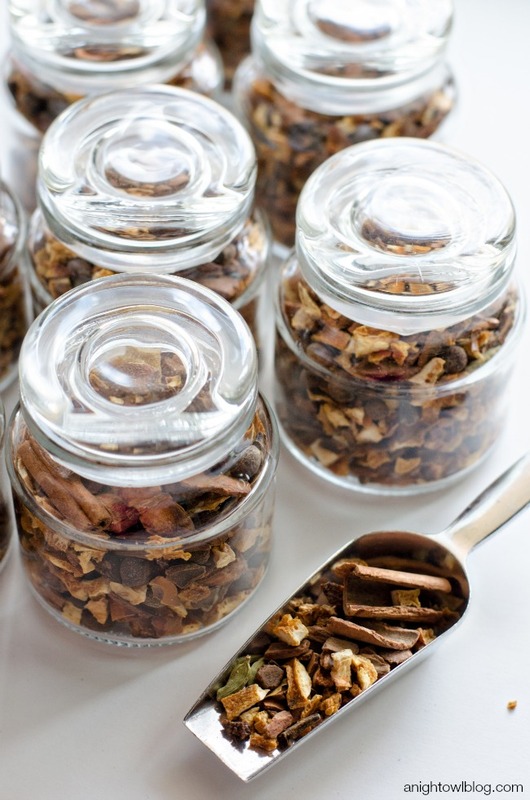 Simply scoop your mulling spices into the small glass jars, filling to the top. Top with the jar lid. 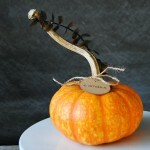 Tie a piece of twine ribbon around the jar. Tie your cocktail spoon to the jar with that ribbon. 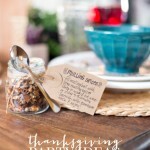 Repeat until you have the number of favors necessary for your Thanksgiving party! 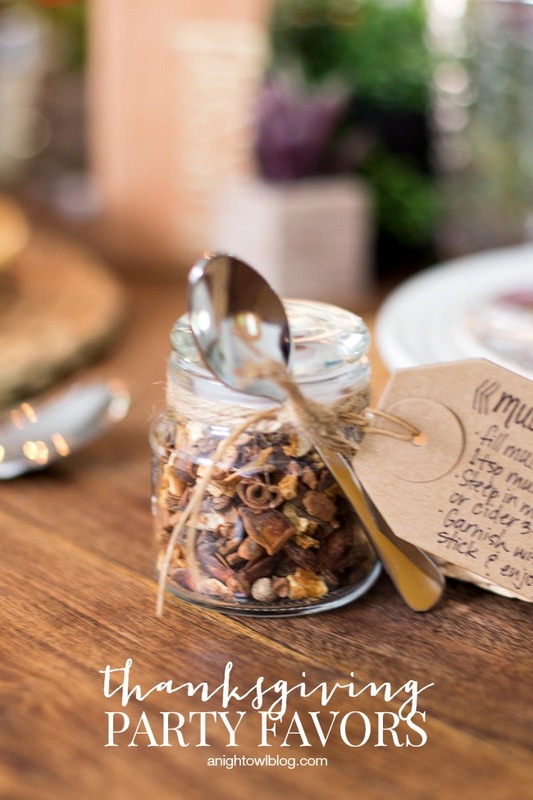 Once you have those complete, you can write directions for using the mulling spices on cute kraft tags, tie and voila! 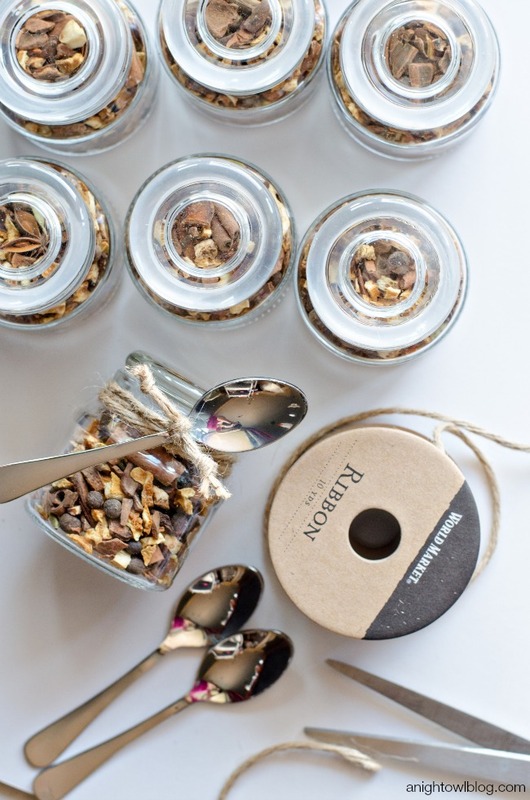 Your adorable DIY Mulling Spice Thanksgiving Party Favors are complete! 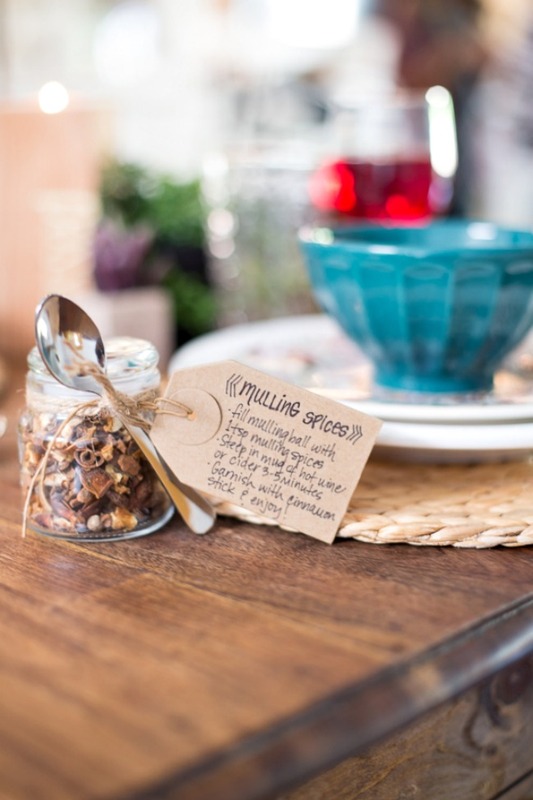 What a fun little trinket for your guests to take home, don’t you think?! 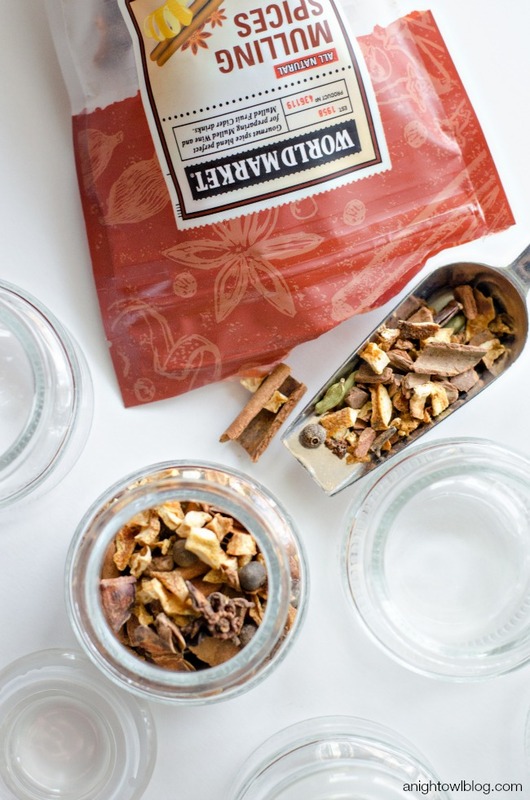 And useful too; we’ve been making good use of the mulling spices that we have at home because of this fun little project (stay tuned for mulling spice recipes!). The World Market blend is truly delicious! Thank you so much for stopping by! 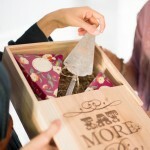 Stay tuned for MORE great Thanksgiving Hostess Gift Ideas…coming soon! A HUGE thank you to World Market for sponsoring our Thanksgiving party!